Our services cover: iOS and Android apps development, web and mobile design, website development, product strategy, project management. With vast experience across several industries (transportation, automotive, humanitarian, e-commerce, marketing), we build successful web and mobile apps. Let us take you from the idea phase all the way to strategy, product definition, design, development, quality assurance and a flawless delivery. 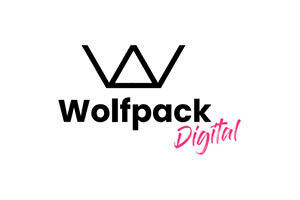 Wolfpack Digital is a agile company founded and lead with passion and deep respect for beauty, smartness, and elegance. Our values find their zest in the spirit of the Wolf, which for us means living, working and communicating under the signs of loyalty, honesty, intelligence, swiftness, power, intuition, curiosity, instinct and team spirit. As a software company, we aim to provide optimal solutions to challenging problems, and we care very much about both the face and the soul of the product we are building. This means we value clean code as much as we care for stunning visuals and attention to detail. Our vision is long-term quality by design. We enjoy working with companies of all shapes and sizes, on projects ranging from simple landing pages to complex pattern recognition web and mobile based systems. Yet the wolves have their soft-spot for start-ups: if we believe in your idea, we’ll be your greatest supporter! We’d love to work with you and walk the extra mile.